Amazon has renewed its One Mississipi TV show for a second season. Tig Notaro and Diablo Cody created the autobiographically inspired comedy that follows Notaro back to Mississippi, after her mother’s unexpected death. Noah Harpster, John Rothman, and Stephanie Allynne also star. Notaro, Cody, Robin, M. Blair Breard, Dave Becky, and Louis C.K. executive produce. One Mississippi, season two, will premiere in 2017 on Amazon Prime Video. Check out Amazon’s One Mississippi press release. SEATTLE–(BUSINESS WIRE)–Nov. 14, 2016– (NASDAQ: AMZN)—Amazon Studios today announced One Mississippi, the critically acclaimed comedy, has been greenlit for a second season. 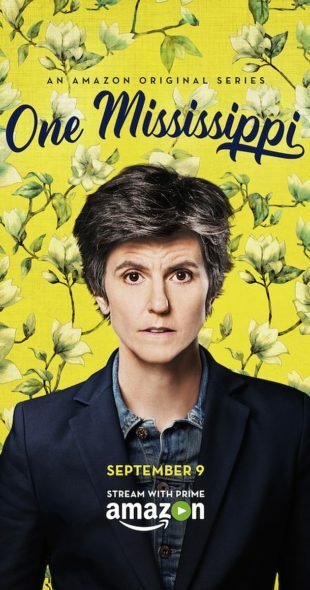 Starring Emmy Award nominated comedian Tig Notaro (Transparent), created by Notaro and Diablo Cody (Young Adult), with Kate Robin (Six Feet Under) serving as Showrunner, One Mississippi follows Tig’s return to her hometown in Mississippi when her mother passes away unexpectedly. As she copes with the tragedy and deals with events from her past, the series becomes a poignant and surprisingly humorous exploration of family. The second season of One Mississippi is scheduled to premiere in 2017 exclusively on Amazon Prime Video in the US, UK, Germany, Austria, and Japan for Amazon Prime members to watch as part of their Prime membership via the Amazon Video app for TVs, connected devices including Fire TV, and mobile devices, or online at Amazon.com/originals. One Mississippi stars creator Notaro, Noah Harpster (Transparent), John Rothman (Law & Order), and Stephanie Allynne (Comedy Bang! Bang!). Notaro, Cody, Robin, M. Blair Breard (Better Things), Dave Becky (Master of None), and Louis C.K. (Louie) will be Executive Producers for season two. The entire first season of One Mississippi can be viewed on Prime Video: https://www.amazon.com/onemississippi. One Mississippi is part of Prime Video’s line-up of award-winning and critically acclaimed Original Series and Movies—to see more originals available exclusively for Prime members visit www.amazon.com/originals. What do you think? Have you watched the first season of the One Mississippi TV series? Will you stream the second season on Amazon? Tell us. Loved it! Definitely a show for intelligent people! Gotta have more. Wity,sad and adorable. Keep allowing us to see entertainment that is worth watching. This show is a rare gem. We loved this show! Please bring it back soon.